Detailing the physical features, habits, territorial reach and other identifying qualities of the Thin-Legged Wolf Spider. The diverse genus of fast-moving Thin-Legged Wolf Spiders are bold enough to look right back at people who stare at them. 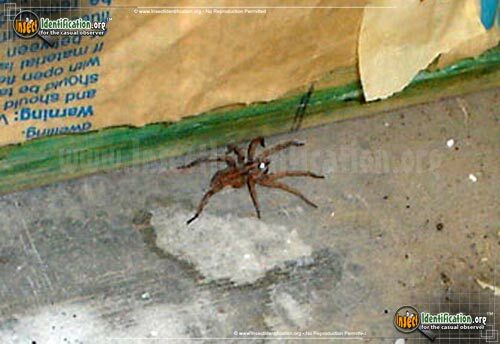 This genus of wolf spiders can be found throughout the United States, Mexico, and Canada. They are dark and can have striped, speckles, or bands on the carapace and abdomen. Their hallmark are long, spindly legs that have hairy spines on them. The eyes of this type of spider reflect light at night in the same way a deer or cat's eyes do. Shining a flashlight at one will demonstrate this effect (see photo). 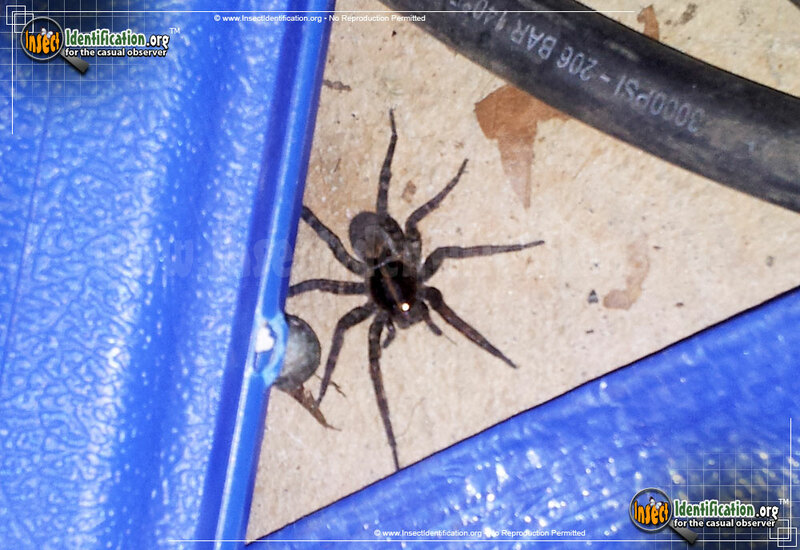 Thin-legged Wolf Spiders are active hunters and maintain a territory. They do not build web shelters for themselves; instead, they roam, day or night, for insect prey. They have been seen soaking in sunlight to keep warm as this allows them to move faster. A female will spin a cocoon out of her silk and drag it behind her, filled with eggs. The fresh greenish color of the eggs eventually fades to gray as they age. When spiderlings hatch, they are carried on the female's back until maturity.